Yesterday, we went to our bank in Alabang to renew my husband’s card. After that, we visited the nearby mall- Alabang Town Center to have our lunch. 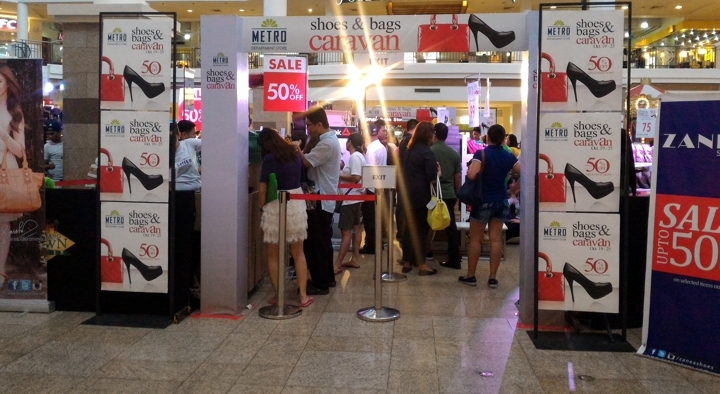 While walking to the restaurant, I saw that there’s an ongoing Metro Department Store Shoes and Bags Caravan at the activity area. I am happy to see that there are only a few number of people inside so I did not think twice to visit them. It’s unfortunate that I was not able to take a picture of the bags. The Metro Department Store will be at Alabang Town Center until October 25, 2015. Healthway Medical saves the day!